In his Twitter bio, Cas Mudde describes himself like this: “Used to study fringe politics. Now study mainstream politics.” These words accurately illustrate a recent eruption of populist politics all across the world, most of which were buoyed by the victory of President Donald J. Trump in the U.S. These anti-establishment parties now vie for power in Europe and threaten to disrupt consolidated democracies. 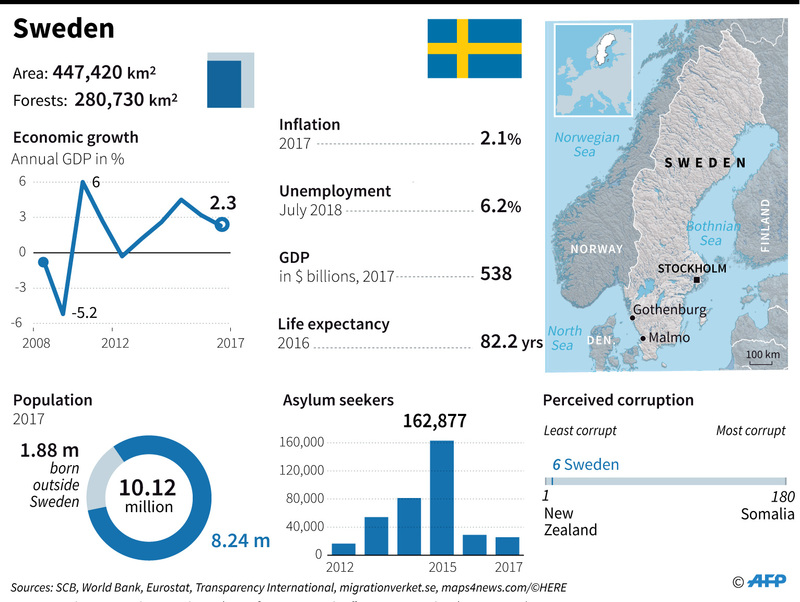 Last week, Sweden’s far-right party reasserted itself in elections by whipping up cultural sensitivities with its anti-refugee campaign rhetoric. 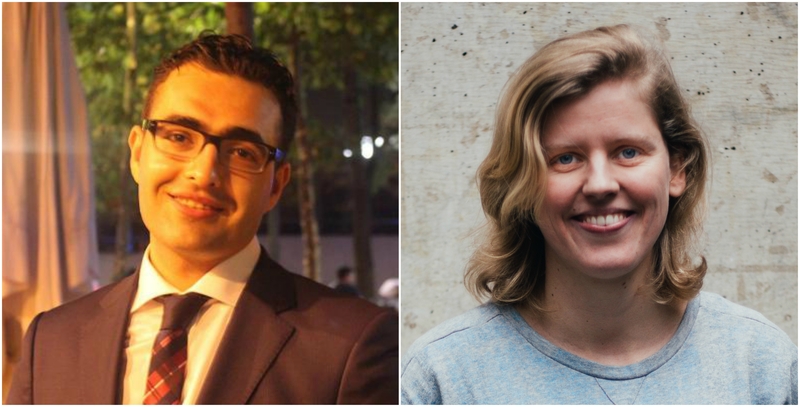 This week, we talked to Cas Mudde, a professor at the School of Public & International Affairs of the University of Georgia, about Sweden’s election outcome, the rise of far-right across Europe, and what the European Union can do to counter far-right. Mudde is one of the most renowned experts on European political extremism and populism. Q: The Sweden Democrats came in third during the elections of last week in the country that has long been described as a haven of tolerance and equality. 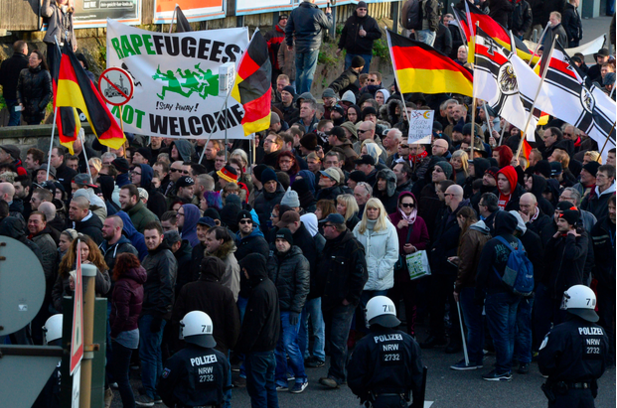 What does this say about the far-right in Europe? Mudde: It mainly says that no western democracy is naturally immune to the far-right, but that is something the Netherlands already showed in the early 21st-century. When one looks at surveys, it is clear populist radical parties have a fertile breeding ground in all western democracies, with at least sizeable minorities holding authoritarian, nativist, and populist attitudes. Whether this is translated into electoral success for populist radical right parties has to do with many different external and internal factors, from which issues dominate the public debate to what do mainstream parties do and what does the populist radical right party offer in terms of organization, personnel, and propaganda. Q: Sweden has been very generous in embracing refugees, even drawing ire of the US president. Do you think there is some kind of cultural backlash and can we see a similar trend in other European countries where people with nationalist inclinations feel culturally insecure? Mudde: Of course there is a cultural backlash, but the so-called “refugee crisis” is at best a catalyst, not the main cause. 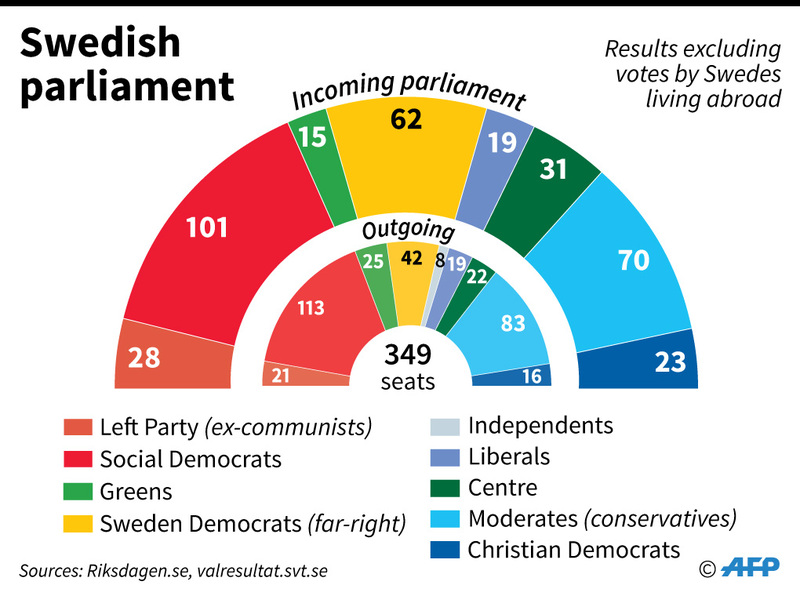 Remember that the Sweden Democrats made much bigger gains in 2014, before the so-called crisis, than in 2018. It is also important to note that it wasn’t the Sweden Democrats who created the cultural backlash, but elements within the mainstream media and politics, who overplayed problems of immigration and integration and underplayed successes. Q: What are the common tenets that define far-right parties across Europe? What fuels them? 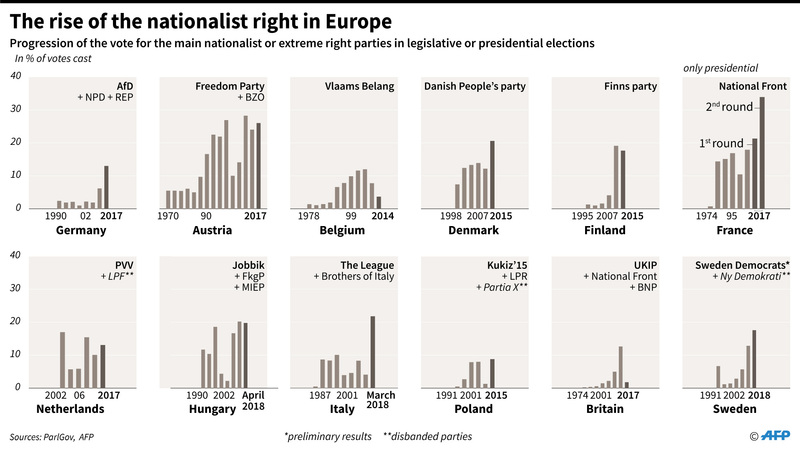 The rise of the populist radical right has many different reasons, mostly structural, with so-called “crises” (temporarily) strengthening the upward trend. Convergence on cultural, economic, and social issues, the so-called “Integration Consensus,” has made mainstream parties act and look more and more similar. A TINA (There Is No Alternative) discourse has frustrated many people further. A changed media landscape has given new opportunities to anti-establishment actors, who used to be excluded or marginalized in mainstream media, and they have been able to give voice to the frustration over “responsible politics” — we have to do the responsible thing, in line with the “neoliberal consensus” — and offer a “responsive politics,” i.e. doing what the people want (whatever the costs and rationale). Q: When did far-right parties start to spring up in Europe and how can you explain the current rise on the continent? Mudde: The first radical right parties emerged in the 1980s, and several parties established themselves in their respective party systems in the 1990s — think of the Austrian Freedom Party (FPÖ), Danish People’s Party (DF) or French National Front (FN, now RN). Responses to a variety of events, which were defined as “crises” (such as 9/11, the Great Recession and the “refugee crisis”), led to growing distrust and frustration with the political status quo, and its main defenders, and shifted the political debate even further to socio-cultural issues — immigration, security, European integration — which profited the radical right. Q: Italy’s Deputy Prime Minister Matteo Salvini, leader of the anti-immigrant party the League, has teamed up with Steve Bannon in his aim to bring about a Europewide “populist takeover” during the 2019 European Parliamentary elections. How likely is such a takeover is and what would the implications be? Mudde: Salvini has said little to nothing about this “collaboration,” which indicates it is not much more than an attention grabber — both are among the more narcissistic people in an overall narcissistic business. So far, international radical right collaboration has mostly failed, which is one of the reasons why new initiatives are constantly announced. With Marine Le Pen’s star fading, and that of the FPÖ and particularly Lega rising, Salvini feels it could be his time to be the center of a new coalition. He is courting Hungarian PM Viktor Orban to join this new alliance because he is the most powerful radical right politician in Europe today. Ironically, Orban’s power is largely related to his ability to stay within the (ever-shifting) boundaries of the center-right European People’s Party (EPP). So, if Orban were to leave the EPP and join Salvini’s new group, he would directly lose part of his power. Q: European Commission President Jean-Claude Juncker used his final State of the Union to warn against growing political intolerance that is challenging the European peace project. What can the European Union do to counter far-right? Mudde: Far-right organizations can be marginalized by certain actions and policies, but far-right attitudes, which make these parties relevant, are much more difficult to change. Simply stated, you can ban these parties, but that doesn’t win back the voters. First and foremost, the E.U. must be principled and consistent in its approach to the far-right. This means that parties that oppose the main values of the E.U. are not embraced or excused, as Orban is (but also Slovakia’s Robert Fico or Czechia’s Andrej Babis), and infringements upon liberal democracy are sanctioned. More importantly, pro-E.U. parties have to develop coherent ideological programs of European integration again because no one chooses for a program that no one believes in. Will India’s ‘Modicare’ Ease Economic Hardship from Medical Treatment?